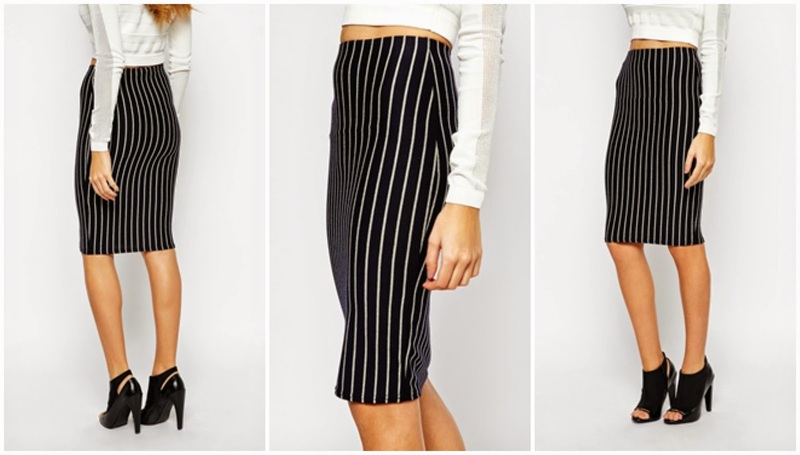 Spotted this pencil skirt on ASOS for $27.49. I like that it has a high-rise waist and features a vertical striped print which gives the impression of height and slenderness. The skirt ships to Nigeria and is available in UK Sizes 6 - 18. Get it here.